The beauty and charm of amber has made it the subject of many legends. For example, the legend of Phaethon, the myth about Gauja, the legend about amber sun and the legend of Jurate and Kastitys. 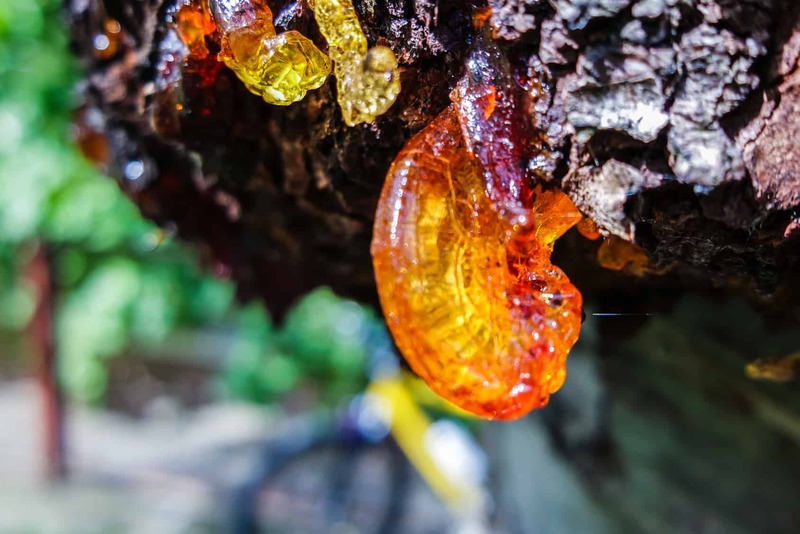 With this post we will start introducing you to the most fascinating legends and myths about amber that ever existed on Earth. This post is dedicated to the legend of Jurate and Kastytis. The legend about true love. Around 60 million years ago, vast forests of prehistoric pine trees grew in the present location of the Baltic Sea. The climate was warm, damp and these forests were a habitat of many different kinds of life that had survived the extinction of the dinosaurs. While healing from injuries caused by lightning, storms, pests or diseases, pine trees produced large quantities of sticky resin to seal the wounded areas and prevent further damage. Every day, the resin slowly oozed down to the forest floor, where it was washed away by seasonal rivers and eventually covered by many layers of soil. The climate cooled down, forcing the extinction of these pines but the resin stayed buried underground and slowly hardened into amber. Over millions of years, what once was forest became sea and strong currents, rivers and glaciers carried amber deposits to the eastern shores of the Baltic Sea. 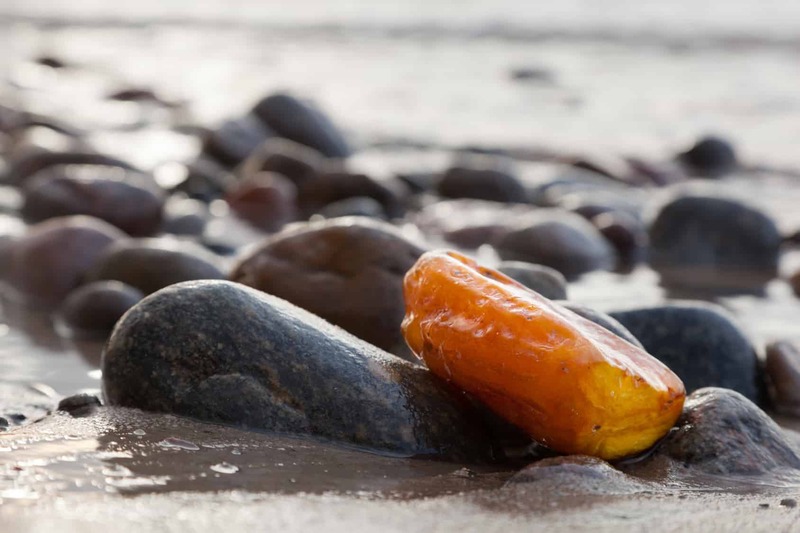 Nowadays, we still can find little pieces of amber washed ashore on the peaceful beaches of Lithuania. This is what science says now, after many years of research, but many years ago, people had another truth. 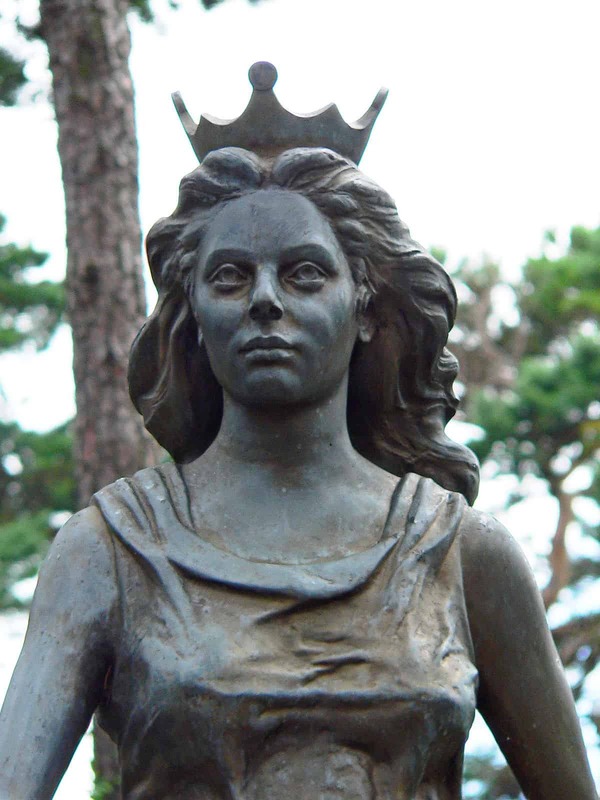 Any resident of Palanga will tell you a beautiful and sad story, a legend about the goddess Jurate (Yurate) and a poor, simple fisherman, Kastitys (Kaststius). It is an old Lithuanian legend, recorded for the first time in 1842 in the writings of Liudvikas Adomas Jucevičius. Since then, it has been modified many times in modern poems, stories, ballets, and even rock operas, but it still one of the most fascinating and beautiful legend about amber that we know. The legend we tell you took place in times, when Perkunas was still the main ruling god. Perkunas was the common Baltic god of thunder, one of the most important deities in the Baltic pantheon. In both Lithuanian and Latvian mythology, he is documented as the god of thunder, rain, mountains, oak trees and the sky. At the deepest point of the Baltic Sea, a beautiful, goddess (sometimes described as a mermaid or undine) Jurate lived in a beautiful and unusually fascinating castle made completely from the shiny golden amber. While on the shores of the Baltic Sea (in Šventoji town to the north of Palanga), not far from the castle of the goddess, a young and beautiful fisherman named Kastitys lived in the poor shack and earned for living with fishing. Jurate ruled the sea and all of the sea-life. Each and every sea creature was not simply the subject to her, but a true lovely friend. Jurate new that people were killing them for survival and although it destroyed her from the inside, there was nothing that could be done. A lot of people were dealing in the sea, relying on and surviving only due Jurate kindness, but one of them was known for being extremely active. A young fisherman named Kastitys was continuously disturbing the peace in her kingdom by catching daring amounts of fish. One day, Kastitys had not succeeded in his usual area and decided to swim near the castle of the beautiful goddess, despite the existing restrictions that his people respected for centuries. The anger of Jurate knew no boundaries. 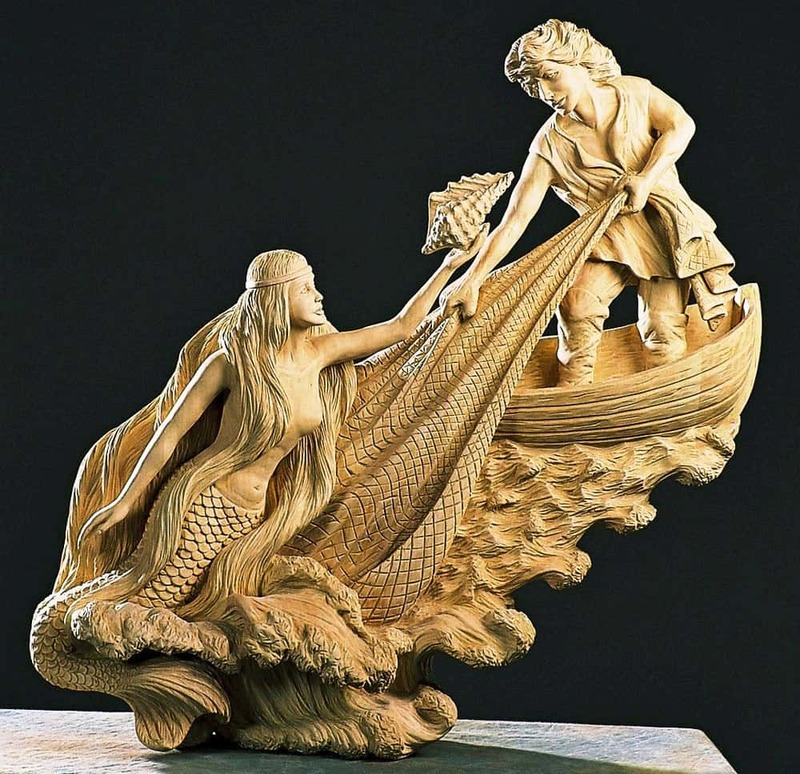 The impudent fisherman had had to be punished to restore the peace, therefore Jurate sent her mermaids to a fisherman with a warning not to mutil the water in her possessions and not to destroy her fish. But this had no effect. 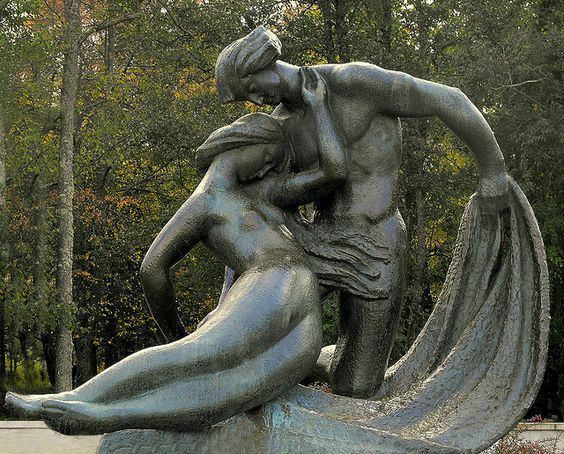 Kastitys was desperate and daring – he did not succumb to either the conspiracy of the mermaids, nor their temptations. The beautiful Jurate was not expecting to receive a retreat from a simple mortal who was not even slightly afraid of the anger of the gods. The decision was taken immidiately. Jurate decided to look herself at the person so desperate and fearless and fled to the surface of the sea. As soon as Jurate saw the beautiful Kastitys, she was forever subdued by his masculinity and glorious songs, he sang to entertain himself during work. By listening to these magnificent songs everything that was before important to Jurate had lost its sence. She was not anymore afraid that other gods will never accept her decision. She was not anymore afraid to lose everything she had. She forgot that by being immortal she will never be allowed to enjoy the fast-ending human happiness. Jurate took Kastitys to her beautiful castle, and they spent days and nights enjoying each other company and their love, losing the feeling of time. Unfortunately, their happiness didn’t last as long as it could. Withting a very short time, the rigorous and cruel god-ruler Perkunas learned that the goddess allowed herself a terrible liberty. To be invloved in relationship with a mere mortal was unforgivable. With a lightning strike Perkunas killed the Kastitys, destroyed Jurate’s amber castle, and the beautiful goddess was forever crocheted by gold chains to the remains of her palace. Many centuries has passed, but it is belived that goddess still suffers from the loss of her beloved. Every day she looks at the breathless body of Kastitys and shed bitter amber tears. And when the goddess begins to cry, the sea comes into a violent movement, a storm strickes and these “tears of despair”, tears about happy, but so short love, are washed on the shore, so people will always remeber how strong can be love.